How do you transform magical prose into captivating images? Find out from artists who have done just that with the Harry Potter series, adopting very different approaches to achieve equally stunning results. 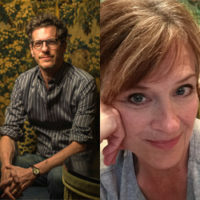 Hear from illustrators Mary GrandPré and Brian Selznick about their process, and learn from Scholastic Creative Director David Saylor about the process of selecting art for literature. Moderated by Tina Jordan. A book signing will follow this event. Books and merchandise will be available for purchase.